The arts program includes a wide variety of subjects, techniques and media. Participants learn about colours, perspective, composition, light and shadow and other aspects of artistic expression. 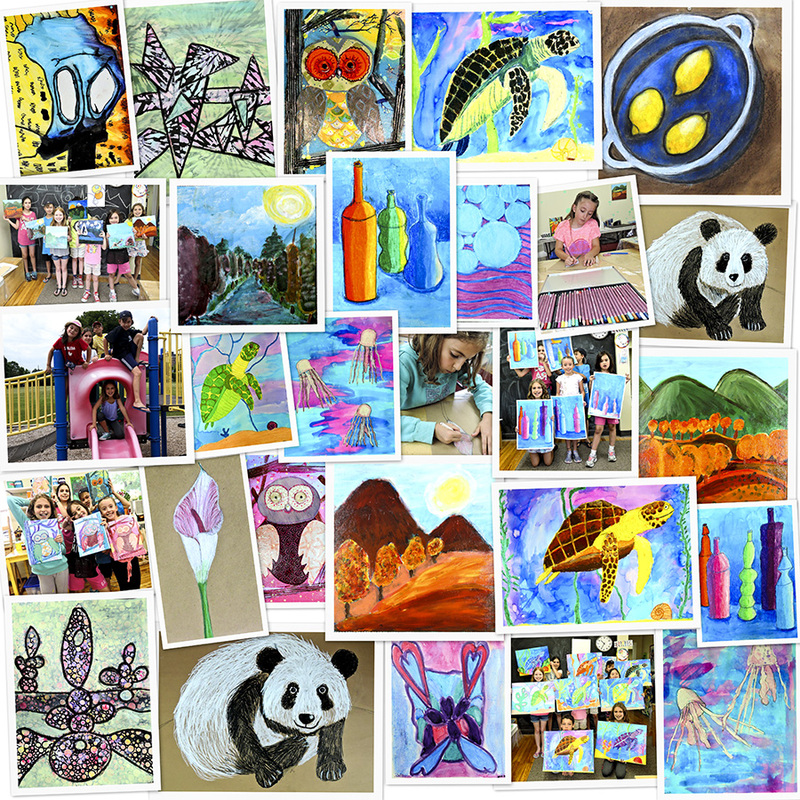 Subjects include animals, landscapes, still life and other. 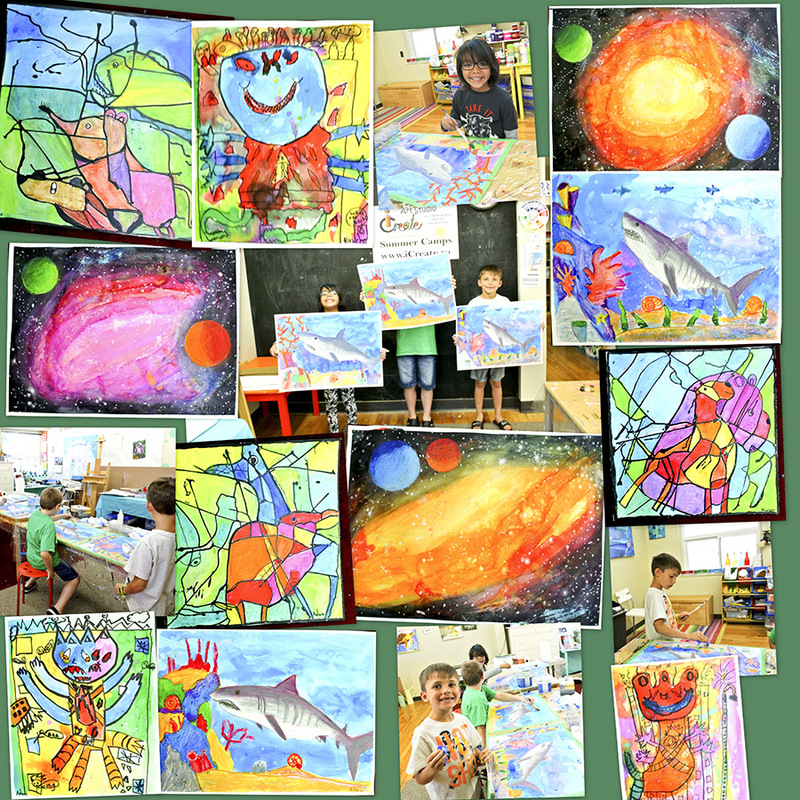 The projects inspire creativity and build artistic skills which go well beyond what registrants can learn in regular school classes or even in other specialized art programs. The creative and friendly atmosphere of our program stimulates kids' interactions and builds their self-confidence. There are morning (9-12 AM), afternoon (1-4 PM), and whole-day (9 AM-4 PM) sessions available (see Schedule table below). 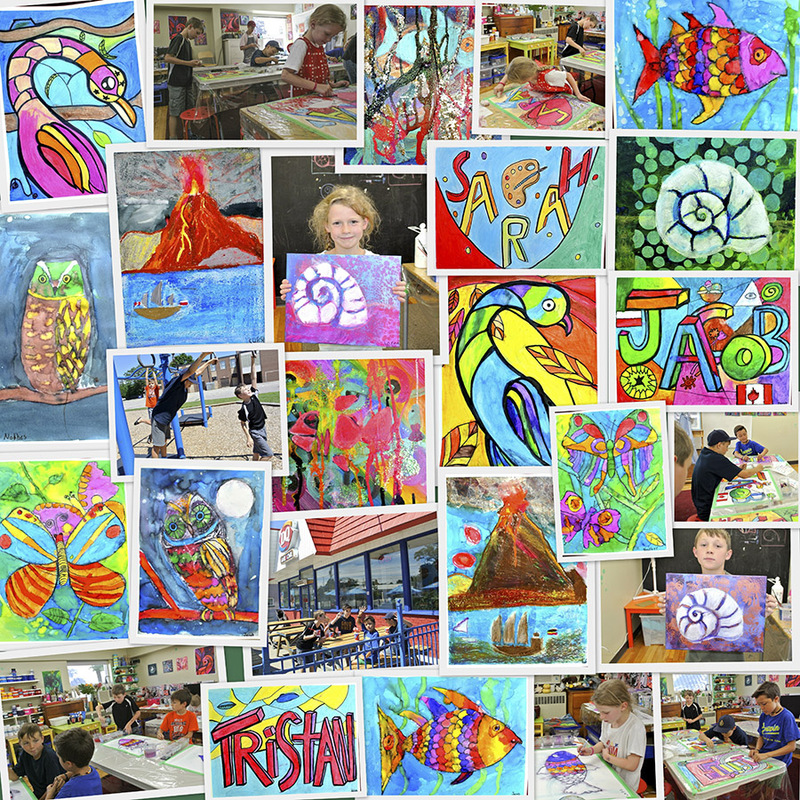 Each camp session has unique art projects, so participants registered for multiple sessions always work on new art pieces. During the full-day camp's lunch hour 12-1 PM participants may be taking a short, supervised walk to a local park. A small, friendly dog may be present during the camps. 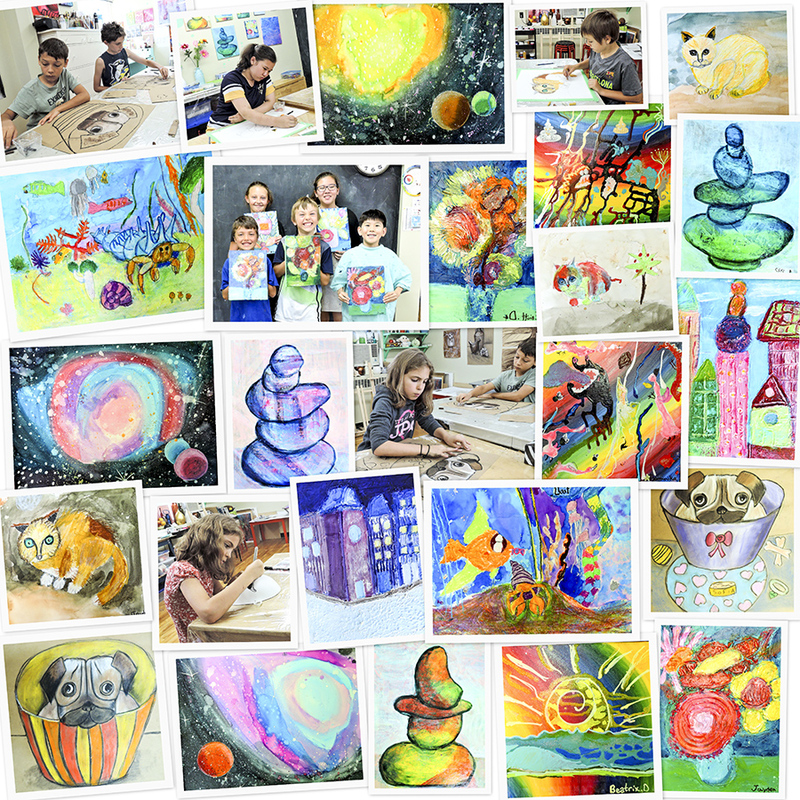 Summer camps are held in the iCreate art studio in the heart of the Clarkson Village (see 'contacts, location' tab for details). Camp groups are small (up to 10 registrants) to create a comfortable learning and playing environment. If your child has special needs or health issues please discuss them with our staff before submitting your registration. Please note — our program may not be able to provide a specialized care that goes beyond art instructions. Deposit is due within 7 days of the registration submission date. Fees include taxes and art materials. For full schedule and registration please see table below. Parents are asked to provide nuts-free snacks and lunches for their children. Please inform us about any allergies your child may have. Submit your on-line registration by choosing the desired camp date(s) in the table below. We can accept only full registrations. Your registration will be confirmed by phone or email. Submit a non-refundable deposit of $50 for half-day camps, or $100 for full-day camps within 7 days of the registration. Registrations without the deposit cannot be guaranteed a spot in the camp. Cash, cheque (payable to ICREATE), or e-Transfer (info@icreate.ca). Cash or cheques can be dropped off to the studio (please call before coming to check for our office hours). Cheques can be mailed. Our address is: 987 Clarkson Rd. S., Unit 102, L5J 2V8, Mississauga, ON. Submit the remaining of the camp fee before the start of the camp. Cancellation of the camp registration can be made any time before the start of the camp, but we greatly appreciate being informed about it as far in advance as possible as our camp space is very limited, so we may have others on the waiting list. If you submitted the full camp payment but subsequently made a cancellation, a refund of the camp's fee less the non-refundable deposit will be issued only if we received the cancellation notice at least one day before the start of the camp. Please make sure to contact us directly to confirm that we received your cancellation notice if it was made very close to the camp's starting date. Cancellations made on the camp's starting date or any time during the camp's period are not eligible for a refund of any part of the camp's fee. The deposit ($50 for half day-day, and $100 for full-day camps) is not refundable. Sorry, but we are unable to refund, reschedule or credit any days missed during the camp. 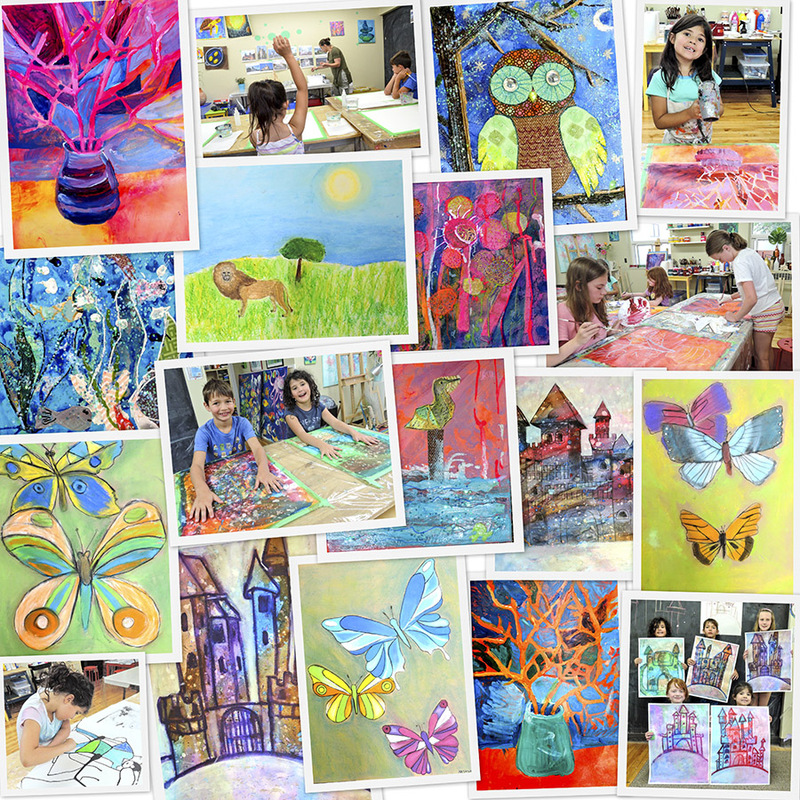 iCreate art studio reserves the right to cancel any of the camp sessions if the number of registrations is too low. Registrants will be informed about session cancellation no later than 7 days before its start date. Registrants will be able to choose a full refund including the deposit, or registration for another available date. 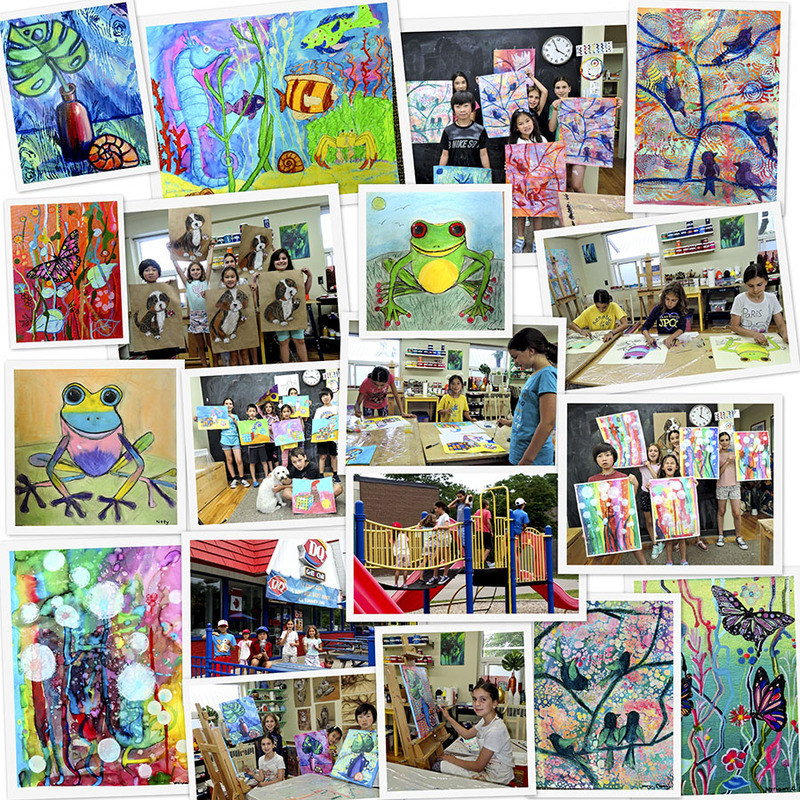 iCreate art studio reserves the right to cancel any of the camp sessions if the number of registrations is too low. Registrants will be informed about session cancellation no later than 7 days before its start date. Registrants will be able to choose a full refund for the cancelled camp (including the deposit) or registration for another available date. Promo video by teacher's 10-yr old son.